Washing and ironing your clothes is a pain. Bring your laundry to us and we'll use our high quality laundry products to brighten your whites, preserve your colors, and remove difficult unsightly spots. You sleep under it every night, but when was the last time you had it dry cleaned? Let us clean your delicate bedspreads and comforters. You won't believe the difference. To be more eco-concious, we utilize hi-tech wet-cleaning in co-op with dry cleaning. Wet cleaning is a water based cleaning system that uses biodegradable detergents in special computer controlled equipment. That's right water replaces harsh chemical solvents. While most places are satisfied with checking your item once, we do so at least four times. 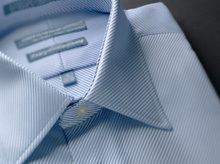 From the minute you bring in your shirts we’re searching for missing buttons, unsightly spots, and unbecoming wrinkles. We’ve been tailoring dresses for over a quarter century, let us show you how an expert alters summer dresses, wedding gowns, and everything in-between. Cleaning these precious items is a delicate operation. So leave it to us. 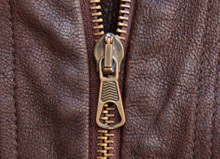 Our team will take care to preserve the exact color and textures of your garments. It's the most beautiful dress you'll ever own. Make sure to keep it safe with our museum-quality preservation service. Treasure the memories of that special day. The coveted perfect fit, we're all looking for it, but rarely do we find it. With some simple alterations you can get the tailored look with practically any garment. 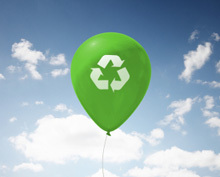 We recycle everything, whether its hangers, poly-bags, or paper. Our new favorite thing is reusable cloth garment bags. Bring them in and see how our expert cleaning will brighten your entire home. Whether its your curtains, drapes, seat covers, or decorative pillows, leave them with us. Whether it’s a last minute interview or an anniversary you accidentally forgot, we at Addison Cleaners have got you covered. Bring your garments in by 2PM and we’ll have it ready the next day. Don't you just hate it when you lose a button. Well we do too, that's why we offer complimentary button replacement (limited to one button, other exclusions apply).